Loft conversions, DIY or using a builder? Loft conversions in the United Kingdom are very heavily regulated like most other types of building renovations. Permissions must be grated and regulation met before any work can commence on a loft conversion project. Whether or not you are granted these permissions, and whether you meet the necessary regulations depends very much on the condition and structural integrity of your existing property. 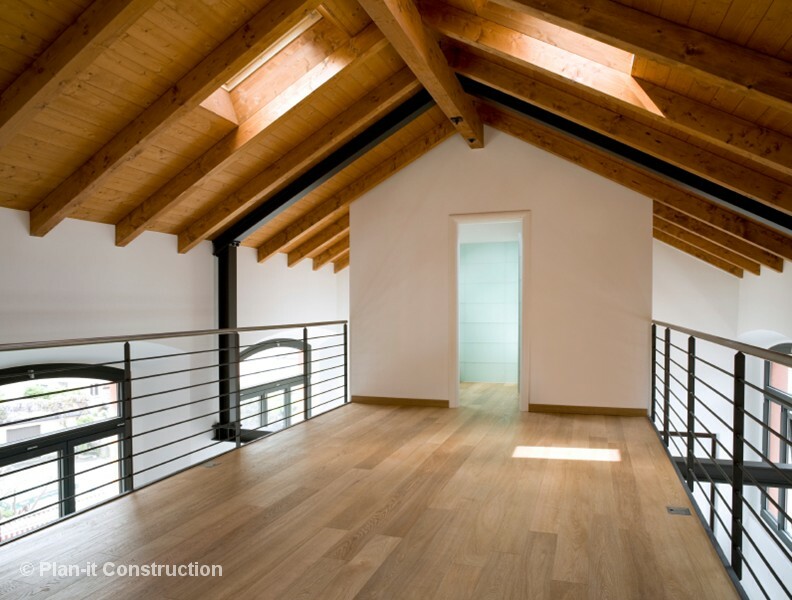 The vast majority of lofts/attics can be converted into valuable living space, and when done so will often provide the homeowner with the most attractive and largest living area in your home. Of course the other major advantage of converting your loft is that it can significantly increase the value of your home. 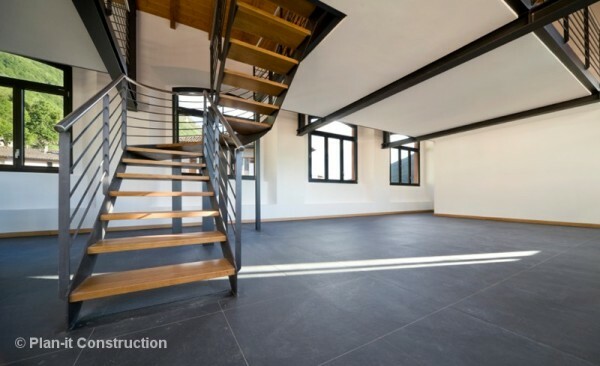 There are no doubt some very ambitious individuals who will undertake the project of converting their loft space themselves. Good luck to them I say. Given the load you intend to place on the existing floor this is not a route I would advise, and having seen a good number of botched DIY jobs myself I would strongly recommend employing the services of an Architect and a builder. It is possible to save money in other areas however, such as by sourcing and buying the materials yourself, decorating the space yourself, or if you’re a little more handy by applying the insulation and boarding yourself once the structural work has been completed by a professional. In a few circumstances your property may not actually require planning permission. One of these instances is if the proposed loft conversion is the property’s first extension and does not exceed 40 cubic metres on a terraced property and 50 cubic metres on others. These extenuating circumstances do not apply however, if your property is located in a conservation area. All flats require planning permission. For a 3-D demonstration of loft planning click the link below. Once your extension plans have been approved and sign by you the homeowner, you will then have to submit them to your Local Authority for approval, which normally takes between two and three months to complete. Once you have received the approval from your local authority, the next step is to prepare Building and Fire Regulation Plans to submit to your Local Authority Building Control department. This submission will generally take around 6 weeks to complete. Once approval has been granted you then need to serve Statutory Commencement Notice upon the Local Authority Building Control Department in accordance with the Regulation 14 of the Building Regulation 1985 (amended 1994). As mentioned above one of the major benefits of, and motivations behind, many loft conversions is that they can significantly increase the value of your home. Should you decide to sell your property the prospective buyer’s surveyor will check on the permissions for the conversion, and its compliance with the relevant regulations. It’s therefore not worth cutting corners or taking chances. Do the job properly using architects. This is the best piece of advice I can offer you. The additional cost of using professionals is offset by the peace of mind you will receive knowing that the job has been properly, to a high standard, and will stand up to the scrutiny of any surveyor.